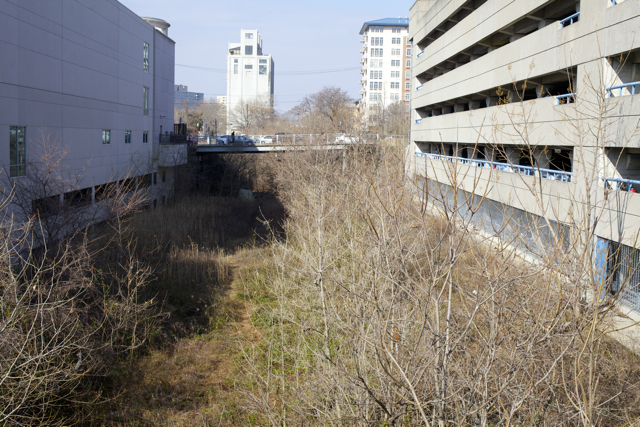 The City Branch is an abandoned stretch of submerged track from Broad Street to 27th Street in the Art Museum neighborhood. 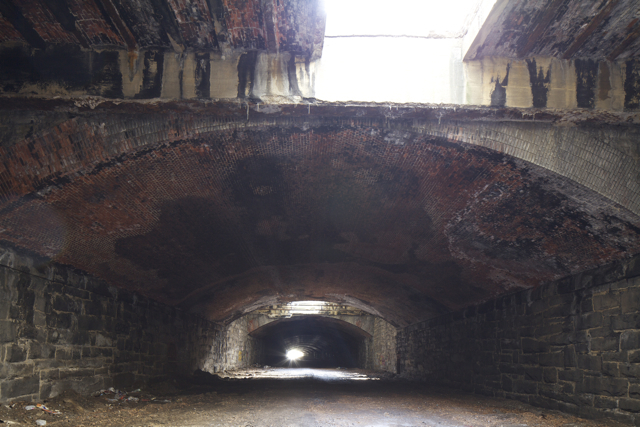 The rail line is open to the sky as it runs parallel to Callowhill Street, then becomes a covered tunnel at 22nd Street, where it angles northwest along Pennsylvania Avenue. Unlike the nearby Reading Viaduct, which carried passenger trains on an elevated track, the City Branch was industrial and initially built at ground level. It serviced industries such as the Knickerbocker Ice Co., the Philadelphia Grain Elevator Co., Bement-Pond, Rush & Muhlenberg, Wm. Sellers, A. Whitney & Sons Car Wheel, and the massive Baldwin Locomotive Works. In 1900, Reading completed the depression of the City Branch, eliminating a number of dangerous grade crossings. The City Branch was used to transport freight until 1992, when its last customer, the Philadelphia Inquirer, stopped printing the newspaper at Broad and Callowhill and no longer needed carloads of paper. The rails were removed, and nature returned to the uncovered parts of the line. 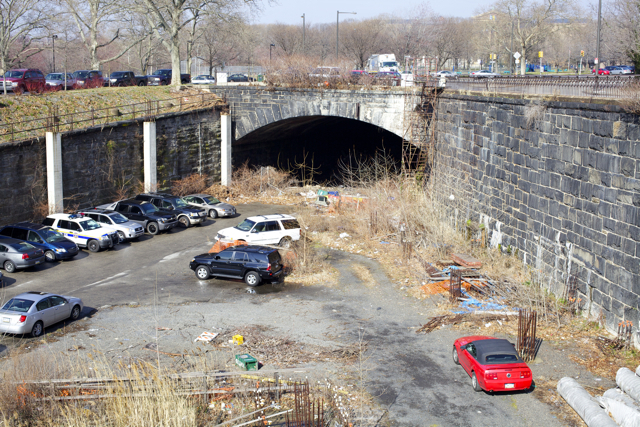 Several sections have been cleared for parking in recent years, however the tunnel remains vacant and empty aside from a few piles of railroad ties. While the possibility of turning the Reading Viaduct into a “park in the sky” has received a great deal of attention, scant thought has been given to finding new uses for the City Branch. City of Philadelphia; Chinatown Community Development Center; Center City District; SEPTA; Reading Viaduct Project; Viaduct Greene; The Barnes Museum; Fairmount CDC; residents of Chinatown, the Loft District and the Art Museum. The tunnel portion of the City Branch is enormous, a half mile long, dark, with dramatic intervals of light coming through grates in the sidewalk that could be useful for performance staging. The ground is poured gravel. 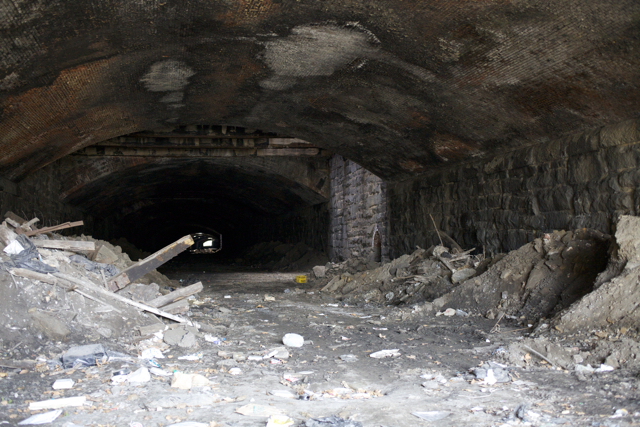 Uncovered sections of City Branch (not inside the covered tunnel) could also be used, however some parts are being used for parking. Installations in either section would need to take into account our inability to secure the area 24 hours a day, though we welcome creative solutions.